If you are interested in salamanders and newts, you've come to the right place! We have something for everyone, from beginning petkeepers to professional herpetologists. All of our articles, FAQs, and species sheets are written by people who have extensive experience with the animals they write about. Start with the Newt & Salamander Frequently Asked Questions, or try our site search. More detailed information can be found in the Articles and Caresheets. If you don't find the answer, bring your question to the Forum. If you want to browse through photographs, or look up a species by name, go to the Species Database, where you will find photos and information categorized by family, genus, and species. The 2016 USFWS regulation to limit the import and transport of salamanders in the U.S. is still in place, but some of the limitations on interstate transport have not been upheld by the courts. See Caudata.org Forum discussions. 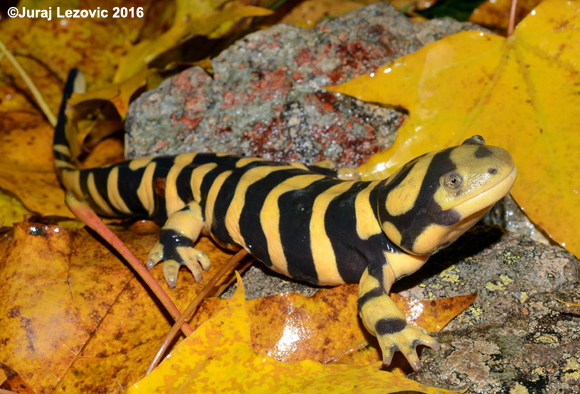 How Smart and How Social Is My Tiger Salamander? Osteoclasts/Giant Cells in Regenerating Axolotl (Ambystoma mexicanum) Spinal Cord Meninges. An Unexpected Presence. As of January 28, 2016, a new regulation in the U.S.A. prohibits the import and interstate transport of most commonly-kept newts and salamanders. For more information see US Fish & Wildlife announcement and associated Caudata.org Forum discussions. The public comment period ended March 14, 2016, see federal register. Caudata Culture began in 2000 as Caudate Central, which joined forces with Caudata.org in 2001. In 2003, the site was reorganized and renamed Caudata Culture. We continue to build on the experience and expertise of many caudate enthusiasts. For more information, see Volunteers.